Splash TV show on ABC: canceled or season 2? Splash: Cancelled or Returning for Season Two? Last spring, ABC aired a new celebrity water competition called Splash. Was it a ratings success? Has it been cancelled or will it be back for a second season later this summer? Based on a Dutch series, the Splash TV show pits celebrities against one another in a diving competition that includes backflips, somersaults, and high dives. Hosted by Joey Lawrence and Charissa Thompson, the celebrities are coached by Greg Louganis and judged by Steve Foley and David Boudia. Contestants in season one were Keshia Knight Pulliam, Chuy Bravo, Ndamukong Suh, Kendra Wilkinson, Katherine Webb, Louie Anderson, Kareem Abdul-Jabbar, Brandi Chastain, Drake Bell, Nicole Eggert, and Rory Bushfield. Many performers are willing to give their all for an audience and this show’s participants had plenty of injuries over the course of the eight weeks. Unfortunately, fewer and fewer people tuned in to watch each week. Splash started out strong in the ratings with a 2.6 rating in the 18-49 demographic and 9.02 million viewers. The ratings then dropped 26-35% in week two and they essentially kept falling for each subsequent episode. The finale drew just a 1.0 demo rating with 4.3 million viewers. 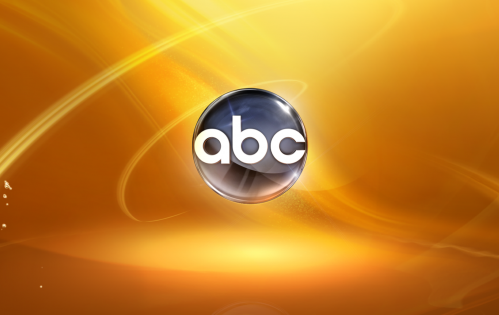 While ABC hasn’t officially cancelled Splash, they have removed it from both their regular site and their press site. Though Splash could be resurrected someday, it’s not coming back anytime soon. What do you think? Did you like the Splash series? Do you think that ABC should have brought it back for a second season or should it have been cancelled even sooner? Splash: Will It Be Renewed for Season Two or Cancelled? I loved the show.I watched every week.it was inspiring..as a matter of fact I would have love to see you in a season take a group of celebrities n pair them with ordinary people off the street…like me that have struggled with weight or self confident issues and make it a team competition. Where the celeb.n there partner do the same dive n ur combine there score for total..and the team who has lowest at the wnd goes home…I think us middle class people deserve a shot to make some money n give us a challenge. I loved the show & have been waiting to watch a new season. 4.9 million viewers is still alot by the way.. so please bring it back.. PLEASE bring back Splash!! I loved it. I can’t figure out people’s obsession with watching celebrities on reality shows. Most are just overpaid whiners. So the fewer celebrity shows and reality shows, the better. Now THAT is disappointing news. We loved watching SPLASH! That is sooooo typical for ABC. Get ya hooked then pull it off the schedule. Hey, ABC…. bring back SPLASH!!!! There is already so little to chose from on your network.